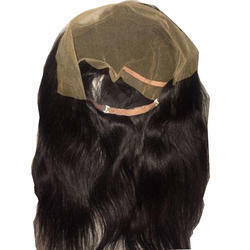 Lace frontal is famous as a half wig in among national and international industries. The other name of frontal is called ear to ear or 13 by 4. 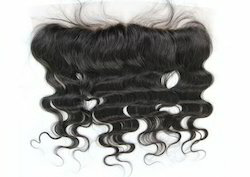 Our frontal is heavy in weight, silky and shiny in look. We are manufacturer or wig and jens patches. Matching up with the ever increasing requirements of the customers, our company is engaged in providing Indian Lace Front Hair. The finest Lace on the market, invisible pleating, bleached knots and a transitional density hairline give it amazing realism in any light. Clients also love it for its light, comfy and airy feel. Hair Quality: Unprocessed, No Any Chemical or Dye, No tangle, No Synthetic. Hair Quality: 100% human hair. Front lace for men french pattern design. Looks natural hair, natural scalp & skin. It can be bonding with lace tape/ glue.